A serious, yet entertaining, look at the impediments in current thought which prevent certain forms of understanding between people. The title story was made into an award-winning film with script by Idries Shah, and chosen as an Outstanding Film of the Year. 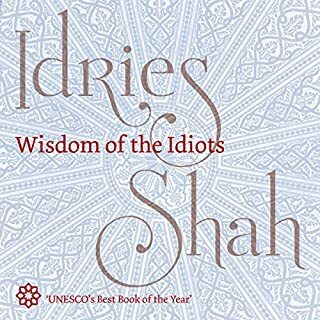 In Idries Shah's Wisdom of the Idiots, the "idiots" are Sufis, called this because their wisdom penetrates to a depth which renders it inaccessible to the merely intelligent or academically knowledgeable. The stories of the Sufis are tools prepared for a specific purpose. On this level the movements of the characters in a story portray psychological processes, and the story becomes a working blueprint of those processes. Although enormously attractive as sheer entertainment, Dervish tales were never presented merely on the level of a fable, legend, or folklore. They stand comparison in wit, construction, and piquancy with the finest stories of any culture, yet their true function as Sufi teaching stories is so little-known in the modern world, that no technical or popular terms exist to describe them. The material in Tales of the Dervishes is the result of a thousand years of development, during which Dervish masters used these and other teaching stories to instruct their disciples. The tales are held to convey powers of increasing perception unknown to the ordinary man. 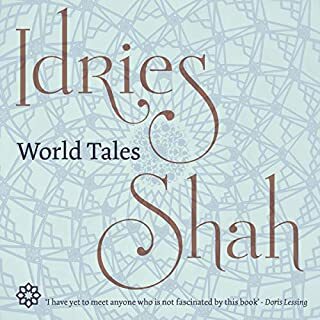 Many of Idries Shah's books are comprised of tales and teaching stories taken from both written and oral sources, which illustrate the instructional methods employed by Eastern wise men for thousands of years. The Magic Monastery differs from its predecessors in that it contains not only traditional tales - mostly unpublished - but also stories specially written by Shah to complete the book as a "course in non-linear thinking". Thinkers of the East is a collection of anecdotes and "parables in action" illustrating the eminently practical and lucid approach of Eastern Dervish teachers. Distilled from the teachings of more than 100 sages in three continents, this material stresses the experimental rather than the theoretical - and it is that characteristic of Sufi study which provides its impact and vitality. When it first appeared in 1964, The Sufis was welcomed as the decisive work on the subject of Sufi thought. 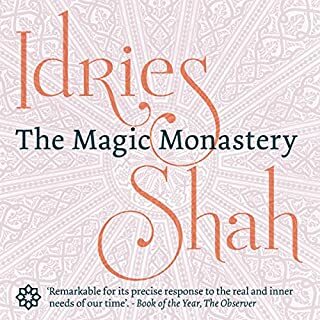 Rich in scope, author Idries Shah explained clearly the traditions and philosophy of the Sufis to a Western audience for the first time. In the five decades since its release, the book has been translated into more than two dozen languages, and has found a wide readership in both East and West. Containing detailed information on the major Sufi thinkers, and literary characters, such as Nasrudin, it is regarded as a key work on both Sufism and Eastern Philosophy. Many countries claim Nasrudin as a native, although few have gone so far as Turkey in exhibiting a "grave" of the wisest fool who ever lived, and holding an annual Nasrudin Festival. He is the greatest, most intriguing, character of folklore found in any Eastern land. Caravan of Dreams distills the essence of Eastern thought in a feast of Sufi stories, sayings, poems, and allegories collected by one of the world's leading experts in Oriental philosophy and Sufism. 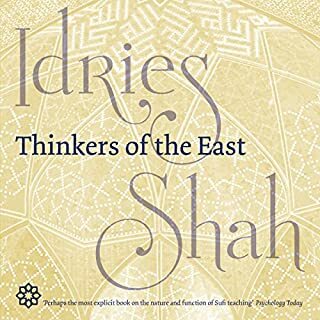 Idries Shah builds up a complete picture of a single consciousness, relating Eastern mythology to reality, illuminating historical patterns, and presenting philosophical legends in this unique anthology. Condensed from more than three million words, these conversations involve housewives and cabinet ministers, professors and assembly-line workers, on the subject of how traditional psychology can illuminate current human, social, and spiritual problems. 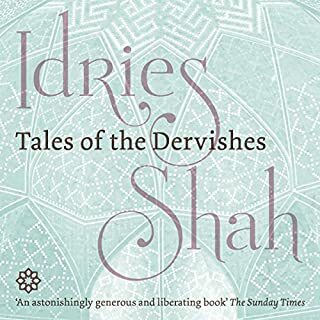 More than 100 tales and extracts from Sufi lore, ranging from the eighth century (Hasan of Basra) to the modern Afghan poet Khalilullah Khalili, are woven into Shah’s narratives of how and why the Sufis learn what they learn and how spiritual understanding develops and deteriorates in all societies. Previously published only as separate essays, Sufi Thought and Action - assembled and introduced by Idries Shah - covers an extraordinary diversity of Sufi ideas and activities in many countries and cultures. Included in the volume are papers on Sufi principles and learning methods; ritual, initiation, and secrets in Sufi circles; and key concepts in Sufi understanding. Based on university lectures at the New School for Social Research, New York, and the University of California, San Francisco, Neglected Aspects of Sufi Studies deals with many of the problems of Sufic methods of study and those which militate against its effective progress in the modern world, notably the unrecognized assumptions which we make about ourselves and about learning and its process. A treasure house of teaching materials, assembled in the Sufi manner. Seeker After Truth contains both traditional tales and stories gleaned from contemporary sources, and snippets of table talk, discussions and teachings, letters, and lectures by Idries Shah. Taken together, it constitutes a handbook of materials designed to provoke a different kind of thought. Special Illumination is a term used by the great poet and mystic, Jalaluddin Rumi, to stress the importance of humor in metaphysical experience. Of it, Idries Shah says, "Rumi directly contradicts such numerous sour-faced religionists as, in all persuasions, find that humor disturbs the indoctrination which is all that they usually have to offer." The "perfuming of a scorpion", referred to by the great Sufi teacher Bahaudin, symbolizes hypocrisy and self-deception: both in the individual and in institutions. In A Perfumed Scorpion, Idries Shah directs attention to both the perfume and the scorpion - the overlay and the reality - in psychology, human behavior and the learning process. Crammed with illustrative anecdotes from contemporary life, the book is nevertheless rooted in the teaching patterns of Rumi, Hafiz, Jami, and many other great Oriental sages. It deals with the need for and the path to knowledge and information. First published in 1957, The Secret Lore of Magic contains within it a series of major source books of magical arts. Many of them translated into English for the first time, these works are annotated. The book’s title in itself signaled the fact that the bulk of material in this bibliographical study had never been published openly before. Oriental Magic is recognized as a brilliant study of how, what and why people think, in territories extending from North Africa to Japan. The book is the product of years of research and fieldwork in a dozen different cultural regions. Its scholarly accuracy and genuine contribution to cultural understanding have made it a key text for anyone interested in informal beliefs and esoteric practices. Traditionally known as The Hundred Tales of Wisdom, this collection comprises excerpts from the life, teachings, and miracles of the Sufi teacher Jalaluddin Rumi, together with certain important stories from his works. 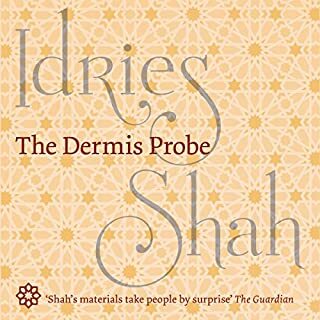 As well as being part of the bedrock of classical Persian literature, these tales, anecdotes, and narratives are believed, by Sufis, to aid in the development of insights beyond ordinary perceptions. Here, they are translated and presented by Idries Shah. 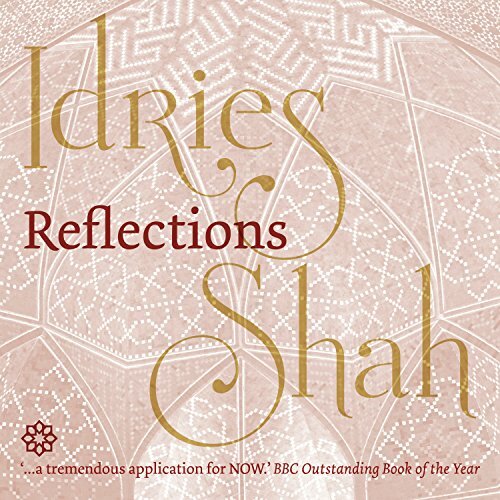 Read by David Ault, this unabridged recording of Idries Shah's Reflections is a collection of Sufi fables, aphorisms, and statements that challenge the conditioned mind. The audiobook confronts the listener with unaccustomed perspectives and ideas in an attempt to set the mind free, to see how things really are. As the book's foreword states, "Do you imagine that fables exist only to amuse or to instruct, and are based upon fiction? The best ones are delineations of what happens in real life, in the community and in the individual's mental processes." When it was first published in 1968, Reflections was acclaimed by the BBC's The Critics program as an Outstanding Book of the Year. Would you consider the audio edition of Reflections to be better than the print version? This new audio version of Reflections is a great alternative for people on the move, those who just need a change from reading, anyone with little time, and people who need reading material in an audio format. What was one of the most memorable moments of Reflections? Reflections stimulates thought about a vast range of human issues, and the book also includes some useful tips on observing the human condition, both within oneself – and without. What about David Ault’s performance did you like? Definitely when David Ault emulates different voices! If you made a film of this book, what would be the tag line be? I sometimes found judicious use of the pause button was helpful at the end of some quotations, giving me a little more time to digest what was said. enjoyable book with plenty of wisdom but not for those not used to sufi type stories. Stories told can end abruptly. What did you like most about Reflections? Shah writes with rare precision and lucidity. He can strip a story down to its essential elements or explain complicated concepts with deceptively simple language. What other book might you compare Reflections to, and why? One difference between Reflections and some of his other collections like Thinkers of the East is that here Shah mixes in his own stories and observations along with the work of classical Sufi Masters. Which character – as performed by David Ault – was your favourite? Ault's first-rate reading serves the content well. Highly recommended for anyone interested in Sufism, superb writing, and fresh viewpoints on human behavior.